Communicating respect and hope is an on going challenge with an abuse survivor. https://www.blueknot.org.au/Workers-Practitioners/For-Health-Professionals/Resources-for-Health-Professionals/Best-Practice-Guidelines The problem is getting the client to know what it is. A long term abuse survivor only knows disrespect and cruelty. The whole respect thing is like a foreign language. Also a survivor can spot insincerity in a heart beat. If the counselor doesn’t respect the client they will figure it out. In fact, years of reassurance and I still had my doubts about my counselors. My own parents didn’t respect me, why should they? Many if not most survivors experience shaming and blaming that being a victim is some how their fault. If they were good enough the horrible things wouldn’t have happened? Such lies are part of the abuse. Blaming a child for making them mad so they beat them unmercifully is lies upon lies. Teaching a survivor what respect is, what it feels like and how they can give it are all part of the counseling relationship. Counseling and mental illness and PTSD still carry an element of shame which is totally unfair but unfair doesn’t change the current attitude. I share these posts in the hope of teaching others that PTSD, CPTSD and other challenges are similar to having cancer or diabetes, part of life’s experience. Communicating respect to someone accustomed to shaming is a difficult battle. Hope is even trickier. The problem arises when the survivor perceives the hope being offered is yet another empty promise. Things getting better doesn’t happen right away in counseling. Often remembering and processing makes emotional life much worse. Similar to a medical doctor cleaning out an infected wound, counseling is painful and hope seems far away. Emphasis on future hope and trusting the process goes a long ways for some clients. I had a sort of negative hope that I hoped things would not get any worse. Counseling is tough. It takes courage and determination and that thread of hope that the future does have a brightness that life will become more manageable. I’m thankful for a counselor that did not give me the false hope that I would never experience the nightmares again. He gave me a realistic hope that I could manage them and get past nightly hauntings. The cool thing about hope is the harder I work the brighter hope shines. Passing healing milestones helps me stay encouraged and moving forward. I want happiness like most other people. Now I feel it, often. 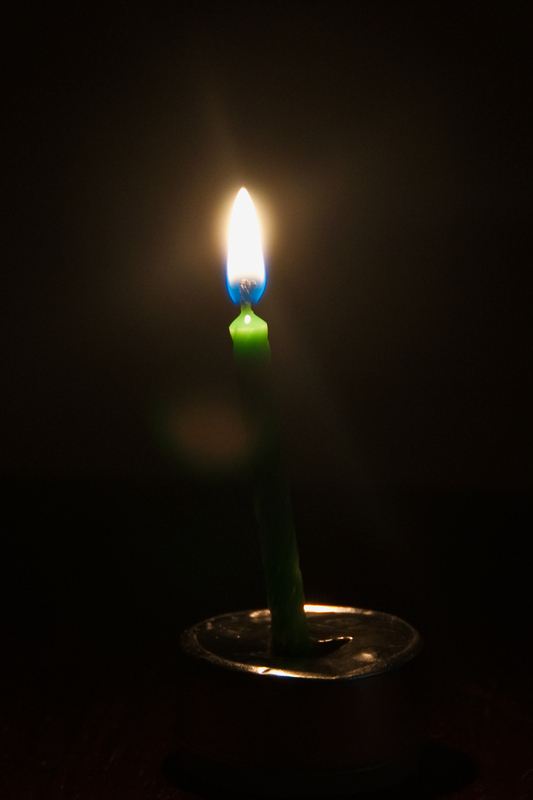 There is hope even with the smallest candle light will shine in the thickest darkness. August 7, 2018 in Accepting, Coping, Counseling. ← What do you want to talk about?